In this page you can download all the VTU CSE 8th Sem materials such as notes , question papers, tech seminars & IEEE Projects. VTU CSE 8th Sem notes by Divya, SJBIT authors, Ashok Kumar & Aradhya. Here students can download notes by various authors as PDFs. Just click on the button to get these notes. This subject covers, by example, how to create models, simulate performance simulations and analyse results. This subject provides an in-depth study of network attack techniques and methods to defend against them. Also covers various encryption and decryption techniques. Software testing and maintenance play a critical role in ensuring the quality, and thus the success, of a software product. VTU CSE 8th Sem question papers of various years. Here students can download question papers as PDFs. Just click on the button to get these question papers. Technical seminar topics along with complete report. IEEE projects topics along with complete report. 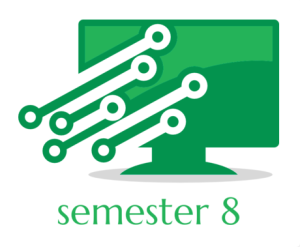 For more Computer Science related Sem 8 materials contact us through leave a message form.